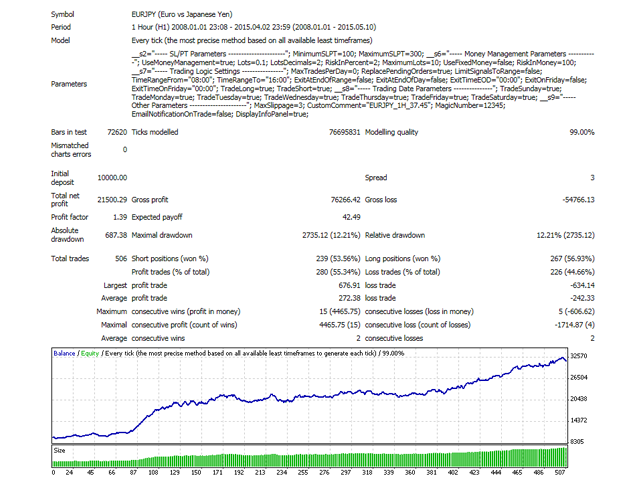 The Expert Advisor has been developed for EURJPY H1. It is based on Bollinger Bands and pending orders. The product was backtested for more than 7 years on tick data with 99% quality modulation. 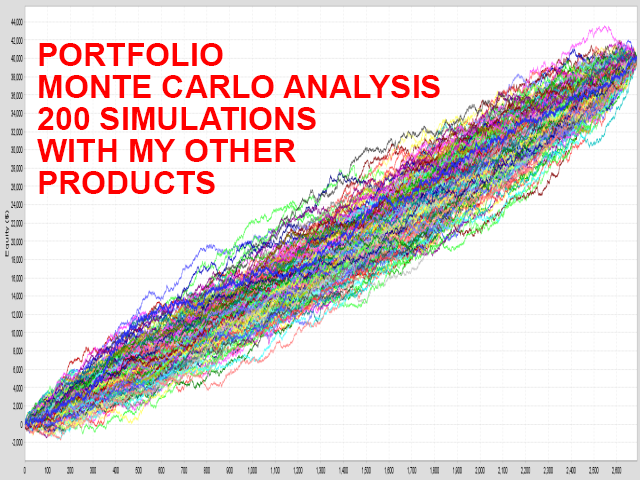 The Monte Carlo analysis robustness test with 200 simulations is displayed on the screenshot. A broker with small spread and slippage is recommended. There is no need to set up any parameters. The settings are optimized. Check out my other products. The EA can be used with them. Only pending orders are used. Each deal is protected by stop orders (Stop Loss and Take Profit). Does not consume too much CPU resources. UseMoneyManagement = false – enable/disable auto money management. LotsDecimals = 2 – broker must support trading in micro lots. 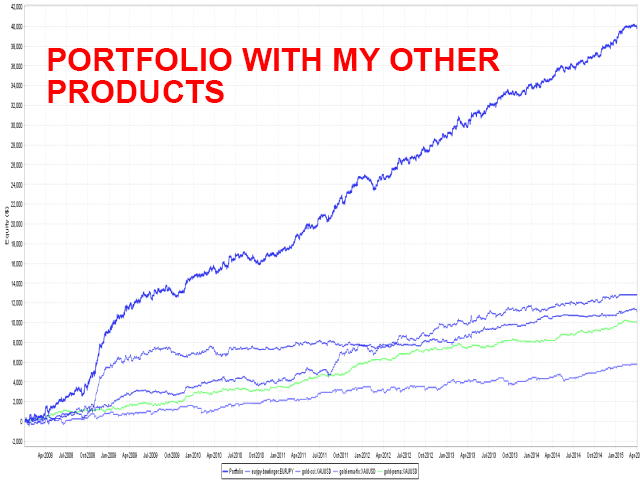 RiskInPercent = 2.0 – risk in percent per one trade from account balance. 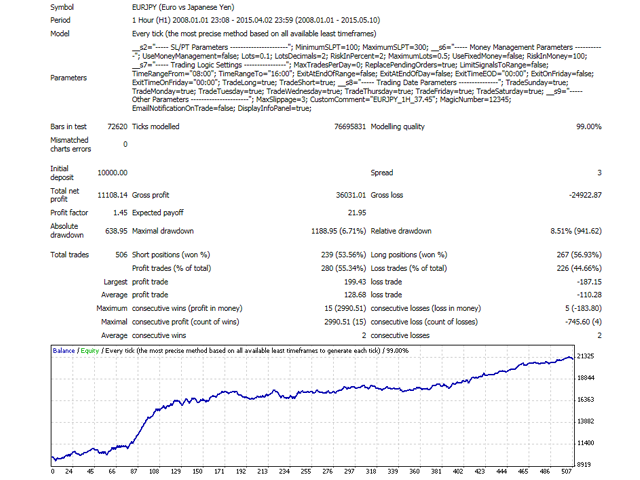 MaximumLots = 0.5 – maximum allowed lots for trading. UseFixedMoney = false – enable/disable auto money management. 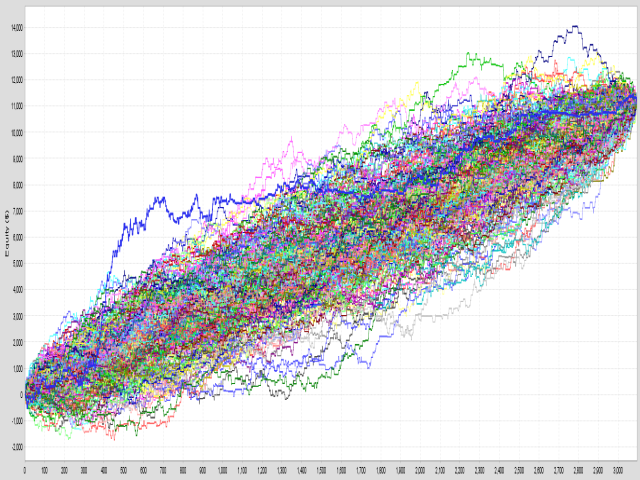 RiskInMoney = 100.0 – risk per one trade in account currency. Another great system by Tomas, the back testing results are phenomenal and the forwarding testing matches it so far so I'm pretty excited to see what this EA can do! Thanks! - Optimize for new build 910. - Optimize for new build.